First comes love, then comes marriage, then comes the minister with the baby carriage. 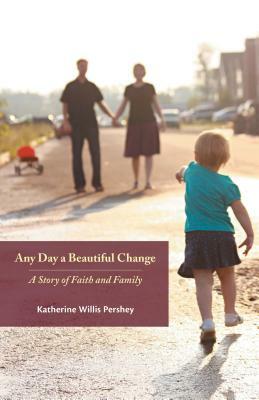 In this collection of interrelated personal essays, Katherine Willis Pershey chronicles the story of her life as a young pastor, mother, and wife. At turns hilarious and harrowing, deeply moving and gently instructive, Pershey's reflections will strike a chord with anyone who has ever rocked a newborn, loved an alcoholic, prayed for the redemption of a troubled relationship, or groped in the dark for the living God. Part of The Young Clergy Women Project series. Katherine Willis Pershey is the Associate Pastor of the First Congregational Church in Western Springs, Illinois. A graduate of Claremont School of Theology, Katherine previously served as the solo pastor of South Bay Christian Church (Disciples of Christ) in Redondo Beach, California. She was one of the founding editorial board members of Fidelia's Sisters, a publication of The Young Clergy Women Project. In addition to writing a personal blog, she is a contributor to the Christian Century. She can be found online at www.katherinewillispershey.com.